State lawmakers and Gov. 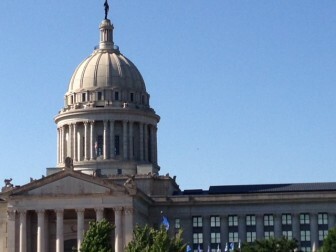 Mary Fallin’s office continue to negotiate ways to address a $611.3 million budget gap, the chairman of the House Budget Committee said Friday. Most state agencies expect cuts. Earlier this week, the executive director of the Oklahoma Health Care Authority released a budget proposal that included more than $40 million in cuts, including a 15 percent reduction in provider rate payments for nurse practitioners. “I know people are worried,” Sears said. “And we are looking at other options for the Health Care Authority, but nothing has been decided,” he said. House Minority Leader Scott Inman, D-Del City, said Friday the budget deal could hurt rural health care, education and transportation. The first session of the 55th Oklahoma Legislature adjourns at 5 p.m. May 29th.